Quarles Farm started on the Franklin/Shelby county line in the early 1960’s and was a primarily beef tobacco operation. This type farming made us an adequate living until the end of the reign of tobacco as the agricultural king in Kentucky. About 10 years ago I started selling some of my daylilies at a local farmer’s market for some extra income and since then we have expanded to three farmer’s markets selling a variety of items. Market gardening runs in the family at Quarles Farm. My grandfather and his father before him raised produce including onions, potatoes and strawberries near Tucker Station here in Jefferson Countyand sold them at what was then the Louisville Haymarket. From there Granddaddy started a registered Jersey herd and moved to Shelby County. After he passed the herd on to my father he returned to gardening and my grandmother sold produce under the tree in their front yard. That sort of tradition continues here at Quarles Farm. Everyone in our family contributes to our enterprise from our youngest daughter who oversees our presence at a local market to our oldest daughter in Oklahoma who has volunteered to help keep up our website and Facebook pages. We grow vegetables sold at the market in addition to being used in our value added products. We carry a wide variety of breads and cakes in addition to jams, jellies, salsas and relishes. We also have a 200 cow/calf operation and produce a wide variety of beef products that can be special ordered. We are in the process of developing a line of ready to eat “comfort” foods for take home from the market to your table. Think meat loaf, pot roast, chili, stew….well, you get the idea. Eat your heart out Cracker Barrell! Friend us on Facebook, Quarles Daylilies and Farm. 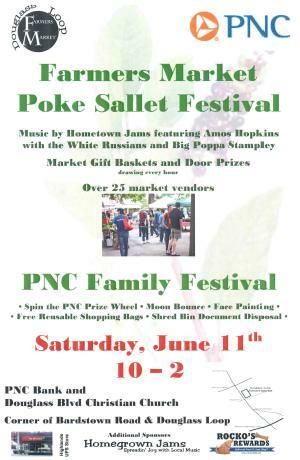 Stop by and visit us at market. Take home some of our products and produce. We think you’ll be pleased. 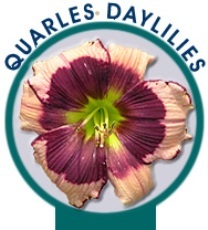 Click here to visit Quarles Farm's website, or click on the image below to visit Quarles Daylilies. Because dogs should get good things from the market too! 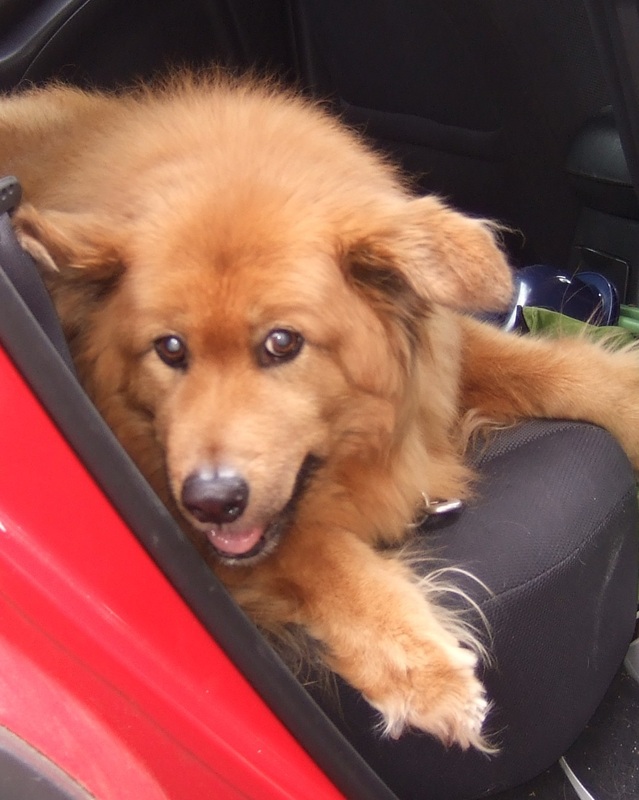 Rocko's Rewards started in 2007 to make healthy treats for our then 13 year old dog, Rocko. As more and more of our furry friends said they loved our all natural dog biscuits, we decided to share them with the rest of the world. Check out our website experience - it is all about the dogs. You can read the story of how Rocko joined our family (grab a tissue), check out Rocko's World for pictures from each week's farmers market and our other dog events and read Rocko's Blog - the life of a senior dog. Rocko is still with us, happy and healthy at 16 1/2 years old, and has a lot of stories to share. Stop by our booth at the market and pick up a treat for your best friend ! Handmade in Louisville’s Highlands neighborhood, rubyruth’s offers a variety of functional stoneware items – from saucers and sake pots to wind chimes and watering cans. Glazes are lead-free, non-toxic and made in Kentucky. All items are bakable and dishwasher and microware safe. Ceramic artist Terri Miller creates her pottery in the wabi sabi style, a Japanese aesthetic know for being rustic and not quite symmetrical. Her other influences include old architecture, nature, minimalism and primitive art-making. 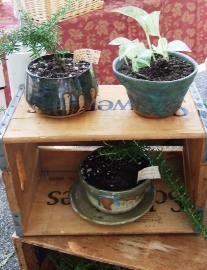 In addition, rubyruth’s offers origami and locally grown herbs, houseplants and succulents potted in hand-made pottery pots. Come see us at the farmers’ market! On April 16, 2011 a new farmers market in the Highlands begins. This spring Douglass Loop Farmers Market will make its debut with a variety of vendors that are Kentucky Proud & beyond. We will offer fresh produce, meats, eggs, artisan cheese, locally made natural cleaning supplies & various pastries under the cool spring air of the Highlands. There will be areas to enjoy freshly made food items prepared the the sounds of local musicians. Please check back as we feature of producers, vendors and area business' that are coming together to make this all possible.